Our ANDIROBA OIL is extracted from the pulp of the Andiroba seeds from the brazilan amazonian forest, where it is wild harvested. It is grown naturally in the Amazon without any pesticides or fertilizers. 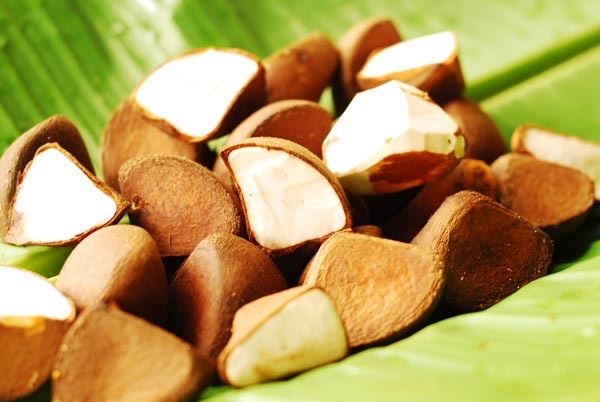 ANDIROBA OIL is one of the most famous medicinal oils in the Amazon, used to heal infections and influenza. The Anti inflammatory properties and attributed to the limonoids (andirobin) and terpenes (meliacin). Besides, the andiroba oil has an inhibitory effect on the enzyme called glucose-6-phosphate dehydrogenase (G6PDH), which is mainly responsible for the adipocytes differentiation, resulting in the so-called cellulite formation, therofore andiroba oil is used to prevent and inhibit cellulitis formation. In Hair care, Andiroba is extremely effective at stopping dandruff, reducing itching due to its anti-inflammatory and skin healing properties.